Former Chairman of the ABC Board, Justin Milne fell on his sword after sacking the Managing Director, Michelle Guthrie, recently. The discussion around this will continue for quite a while, especially if the ex-MD follows through on her threat to sue for wrongful dismissal. Where that particular saga ends up is anyone’s guess and hopefully, when the government does appoint people to the vacant positions, they will follow the legislated process of ‘rubberstamping’ the recommendations of the independent panel that is responsible for research and character checking. In fact, it is probable that the current dramas wouldn’t have occurred if the recommendations were followed last time by Communications Minister Fifield. It was interesting to watch the change in focus over the week when Guthrie and Milne walked the plank. On Monday, Guthrie was claimed to be someone who was completely out of touch with the demands of the job, by Thursday the narrative had changed to Milne apparently instructing Guthrie to sack journalists who were ‘critical’ of the government, an instruction Guthrie refused, demonstrating how ‘in touch’ she was! It really doesn’t matter who said or didn’t say what to whom. Milne and Guthrie are victims of a process of the current government to eliminate criticism of their actions. There was significant media coverage at various times suggesting that Turnbull and Fifield were not happy with perceived errors, criticisms or inaccuracies in some ABC current affairs reports. Fifield has also been regularly filing complaints with the ABC for trivialities. You can’t really blame Milne for making the assumption that the government was ‘not happy’ with the actions of some of its journalists, albeit his subsequent actions were apparently wrong. However, it is important to note that most of the ‘inaccuracies’ Turnbull and Fifield complained about were actually factual. Rather than going down ‘he says, she says’ rabbit holes, have a look at the core problem. Yes, the government of the day funds the ABC using taxpayer funds. So the current ABC ‘yours’ marketing campaign is correct — we all own the ABC. The reporting of information that doesn’t necessarily reflect positively on the government of the day’s actions or behaviours is something that demonstrates that we as taxpayers are getting value for money. This is evidenced by the journalists we employ, who are doing their job and reporting fact without fear or favour to those that control the funding source. After all, one of the many criticisms of governments such as the one in North Korea is that adverse commentary, let alone dissent, on the actions of the government or questioning the government policies is strictly prohibited. Ex-PM Turnbull has been reported in various media outlets as not directly asking anyone to sack anyone. He’s probably literally correct in that he didn’t get on the phone to Milne and order anything happen to anyone. But he didn’t have to. Waleed Aly’s recent opinion piece in Fairfax publications claims the recent ABC goings-on are part of a bigger issue. Aly writes about a phone call between Peta Credlin (in her role as Abbott’s Chief of Staff) ringing Chris Mitchell (the editor of The Australian) demanding the sacking of an opinion piece writer, a journalist wrongly caught up in the Centrelink ‘robo-debt’ fiasco and, after writing a blog piece on her experiences, having personal details leaked by the Abbott/Turnbull/Morrison government to the media. In addition, the federal parliament has passed legislation allowing certain issues, say a hypothetical ASIO raid on the office of the Opposition Leader, to be retrospectively claimed as a ‘national security’ issue. Those that have filed their reports on the matter prior to the declaration would then potentially endure jail time because they reported on a ‘national security’ matter. ABC funding is also an area of implied editorial control by starving the organisation of cash to pay the researchers. At the same time, the Abbott/Turnbull/Morrison government claim to be promoting free speech for ‘persecuted’ right-wing Christian groups! We could also discuss the undue influence in Australian politics of the likes of News Corp, who’s proprietor chose to forego his Australian citizenship to further his business interests; or radio announcers such as Alan Jones, who recently lost another defamation case through his lack of attention to facts in his commentary — but we all probably have better things to be doing for the rest of the day. The ABC ran a campaign in the 80s saying it costs each Australian 8 cents a day. Their Chief Financial Officer recently suggested the cost had gone down to 4 cents a day. For our 4 cents a day (or $14.60 per year), we get reporting by some of the best practitioners of the journalism trade in Australia and relevant content targeted to most demographics in this country across many media platforms. What we shouldn’t get is real or implied political interference because the reporting is perceived to be critical of the government or their policies. Some will always believe that our government should be the best that their money or influence can buy, and they are entitled to their opinion. 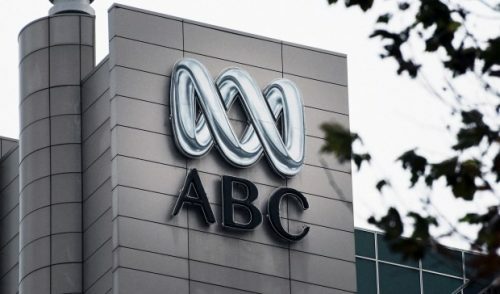 However, the recent interest in the ABC’s independence demonstrates that the majority of us want fair, unbiased reporting rather than self-censorship because of interference. We also seem to have a tolerance for the demonstration of the maxim: if you don’t occasionally stuff it up, you’re not trying to do your job to the best of your ability. As the owners of the ABC, we need to remind all politicians that media independence is our expectation and criticism comes with the turf. How this tory government has gutted our ABC is scandalous they absolutely loathe any and everything public (owned by the people) and desperately want to convert it to private (murdoch media) which looks like the goal and if we don’t protest hard we will lose it in these final months of this unregulated capitalist extremist right wing Abbott/Turnbull/Morrison government. I love my ABC and I vote. Bring on the 2018 Federal election ASAP!!! I don’t think I need to worry about my local landmark, the Bradman Museum either…. Helvityni, I wouldn’t assume the War Memorial is safe, after all its Director is the former Lib leader, Brendan Nelson. Re the ABC, as. Former journo and therefore a longtime admirer of the ABC, I am a bit surprised at how little Of the smelly stuff is sticking to Fifield over his personal interference. I regarded Alston as the worst Minister the ABC ever had but now think Fifield is in contention. Of course he won’t have it taken from him but hopefully the latest scrutiny will make him pull his head in. The things that you find in newspaper archives ….. and from a Murdoch masthead …..
RomeoCharlie29, I just thought that any landmarks to do with sports and war would be safe, they both rate high in Oz culture, anyhow higher than Arts/opera houses etc…. The popularity and the power of the talkback radio shock jocks has always puzzled me; I did not even know who Hadley was…..
Good article. Like RomeoCharlie29 I wonder how Fifield seems to emerge unscathed by all the scandals swirling around him. One reason is that he is a Protected Species, being a member of Rupert Murdochs Training College, the I.P.A. (as are about 18 other Liberal MPS, including about 8 in the cabinet AND the current Prime Minister! This is a massive conflict of interest for Fifield, but again, he emerges squeaky clean. you could be forgiven for thinking that Rupert Murdoch is pretty much running the country. Todays announcement by Fifield that they are intending to “limit the internet” is quite chilling. On the grounds that it will save us from “fake” news. Australia would be far better off including small lessons in Critical Thinking into the everyday curriculum, for all children including those in religious schools (perhaps especially them!) starting with Day 1 at school. Or even the new Early Childhood Education for 3 year olds. This would be a far better armour for all of us, against fake or any other kind of news (or political announcement).. The War Memorial is safe as it studiously avoids the Frontier Wars and because it turns mass killing and PTSD etc into entertainment for children. It always amazes me that people get so precious about the ABC being funded by taxpayers but overlook the fact that so-called “free-to-air” media is entirely funded by consumers, and at a far greater cost per person. I read that the household cost for advertising is over $2,000 per annum – far greater than the annual household cost of the ABC. Advertising is effectively funded by a levy on all goods which is paid every time you buy something that has been advertised. Not everybody is a taxpayer but we are all consumers. Paying the “free” media to criticise the ABC with our own money about the lesser amount the ABC costs is a form of cognitive dissonance. Perhaps the ABC should be campaigning on the notion of “value for money” in the media rather than the idea of justifying its own cost. Essential poll on October 9th, 2018. ALP 37% (+1), Greens 10% (-2), Libs 34%, Nats 4%, PHON 7%, CA 1%, others or independent 8%. ALP 53% v L/NP 47%. Translated to a general election Labor 87 (+18) seats, Coalition 58 (-18) seats, others 5 seats. How’s that working out for you ProMo? Two other actions this week may also have damaged ProMo. His support of Alan Jones whilst calling the Sydney Opera House a billboard and the most damning, supporting coal over climate scientists. Another good article on our public broadcaster. Perhaps – because it is good for value for money but maybe that puts too much emphasis on the monetary aspects of the relationship rather than the government/citizenship relationship which is at the core of a healthy democracy. For me, the ABC: Serves All Citizens. Or the ABC: Serving All Citizens. (Or some variation on same) – Has more appeal. I think we should keep the dollars out of the equation as we do when we speak of other essential services such as police, ambulance, hospitals, and the like. They are ESSENTIAL just like the ABC. This we are starting to get traction claim. Who is the we to which you refer? Can you name me one politician in the Australian Parliament (on either side of the aisle) who has spoken out in favour of adopting MMT? Yes the adoption of MMT may change how government/economics/ finance etc works but there’s no evidence that it’s pending. (‘Cause wishin’ and hopin’ and thinkin’ and prayin’ ?) One wonders how many letters the ABC receives demanding that Q&A devote a program to MMT? Seems to me that MMT lacks political credibility and there’s no momentum to change that. Not a political player in sight. One wonders why. Perhaps Trump would oblige? Or even Pauline? They know how to beat the drum. we all own the ABC. There’s that ‘taxpayer’ justification again and why must it be termed as ‘value for money? Is it not possible to think of proper relationships without introducing dollars into any (and all) discussion(s)? When you discuss relationship with your wife (partner, kids, parents et al) do you also couch that in value for money terms? if not – then why not? It’s just ‘common sense’ isn’t it? Just askin .. I won’t go on. Some people complain about neo-liberalism, yet don’t seem to appreciate how much it’s permeated their thinking – their ‘common sense’. Must go – my wife wants her value for money. It’s the money and taxpayer funding factor that seems to be driving the ABC debate. All we seem to hear is that the ABC is funded by taxpayers rather than owned by all citizens and that it’s somehow partisan. Whitlam, Keating Hawke and Wran all had significant complaints about the ABC and Gillard was the subject of a comedy show that portrayed her as some sort of ignorant bogan but none of that matters to the current government when there’s the merest hint of policy criticism. Maybe we’re entering the Trump universe of Alternative Facts and Fake News. I don’t know what advertising sponsors 2GB has but I’m sure I’m indirectly financially sponsoring both Hadley and Jones and their special brand of bias. Zathras, I wonder where they find these people…. Please tell me if I’m wrong … and why I’m wrong. I really want to know. That we don’t have to “adopt” MMT, we already have it, from when we changed from Gold Standard economics to Sovereign Fiat Currency in 1983? That we’ve had governments since then that actively chose to keep applying Gold Standard austerity economics on the masses and, at the same time, actively chose to shower Sovereign Fiat Currency largesse on the wealthy, has been a political choice … the proof of which is the continual nonsense about equating Federal fiscal policies with household budgeting? I think you have made an excellent point. The above mentioned article looks at MMT and why governments are not interested. My prior link sought to inform readers in this space why more progressive outcomes from our Federal Government, including increasing the Dole, addressing poverty and recidivism from offenders, fast trains everywhere, clean water, renewable energy in every building, not just for those who can afford it…. A huge, long list of good things that we could be allocating resources towards if we just stopped thinking that the ‘costs’ of things are what stop us. That is, a limit on the dollars. The dollars aren’t limited, only the people who are willing to work for government dollars and physical inputs. So first understand there aren’t any taxpayer dollars. You can count them, frame them in a budget task as though they were recycled and not put to work.. But taxpayer dollars really do not exist, except as a way to confine us. A bit like the task where you have four points in a square and are asked to draw 3 lines that go through all four points…. Unless we all think outside the thought that the ABC is funded from a bag of taxpayer dollars and that a dollar spent on Leigh Sales’ salary is a dollar less available for something else… Well, I hope you understand me better. To my favorite dog (Denzel was my boy’s name and I had an earlier beauty, called Millie). Yes, you, Jack Russell… Your senses are entirely right, mate, they’ve been doling out largesse to their rich mates for years, whether its the LNP or Laborlite. And it has been a political choice as blind freddy could have managed this country better. But it’s all out in the open now. You never saw the envelopes years ago. In time of course, it became impossible for public servants to give honest advice about the right policy options. No, I was told I could only ever put up advice which the Minister wanted to hear. We became yes men and women and some of them are now full enablers of corruption. That is how far the pendulum has swung and is why you can’t get anyone in Canberra to say f*ck, we’d better do something about this climate thingamgig. No, they keep telling themselves they have decades left, when some think that we only have months before things start to get sporty. And finally to Diannaart, thank you for the link. Getting where we are today has been long and very difficult, and it’s been other, smarter people, like Michael Hudson, who have been at the tip of a worldwide crusade and it is champions like him and others on that list of economists that have been able to influence and change opinions. Some of the more influential people aren’t even economists. It’s not a club, not even a theory. Just Macroeconomics (hat tip Bill Mitchell). There are many, many reasons we don’t ‘have MMT’ (in Australia or anywhere else) and it’s not because it is a cooky ‘theory’ or has only been tried out in Venezuela and post WWII Germany. I’ve a brother still working there, high up. Talking to him, and believe me, it’s like fight club, he really doesn’t like talking about it, I get the strong impression that it’s something that everyone would prefer stay in the envelope marked ‘conspiracy options’. Second and my take. It just won’t work with our current system of democracy. If, as a government, you could satisfy everyone’s wishes (free education, free electricity, everyone with work or not, no more immigration for growth reasons)…yes another long list. Well, create that utopia, there’d be no more policy to debate and a ‘parliament’ would be pointless. Ours was set up along the British model so as to ‘give people a say (be represented) in how Australia is run (essentially the representatives got a say in how ‘the money’ is divvied up)’ Think about it, if Australia was being managed properly, we wouldn’t need a Parliament in its current form. And talking about MMT makes me an easy straw man. Used to it being low life economist scum. Christopher … my thanks … and a firm handshake. I shall speak with confidence from now on, when the occasion arises. Your clear way of speaking to a subject that as been deliberately obfuscated by self-interested pirates has me thinking you could do an outstanding job of authoring “Sovereign Fiat Currency for Dummies” … and start a revolution, with a keyboard. No revolutions now, mate. Too many softies out there. The clear thinking was always there, I’ve been ‘away’ and now I’m back. Too late to change anything, other than to guide others and be respectful, for as long as I am able. I’d like that Christopher … how do I go about it?